This year, together with Kiehl’s Made Better™ partner John Legend, Kiehl’s is proud to introduce its #1 mask, Rare Earth—made better. The new Kiehl’s Made Better x John Legend Limited Edition Rare Earth Deep Pore Cleansing Mask features the customer-favourite formula in a 50 ml jar that has been redesigned by John Legend with his signature. 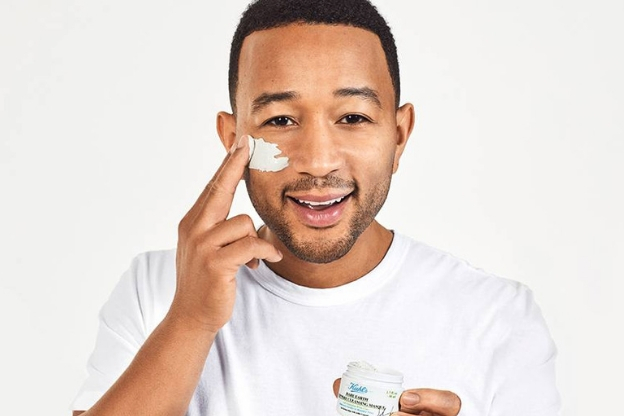 Kiehl’s is proud to introduce the new Kiehl’s Made Better x John Legend Limited Edition Rare Earth Deep Pore Cleansing Mask, which will benefit The Earth Day Network in the United States. In the US, 100% of net profits, up to $25,000, of this product will benefit the Earth Day Network (EDN). The donation will support Earth Day Network’s Earth Day 2019 Clean Up taking place in cities across the U.S. for Earth Day 2019. The event will expand globally in 2020 for The Great Global Clean Up. Kiehl’s Limited Edition Rare Earth Deep Pore Cleansing Mask, $25, is available at Kiehl’s stores and Kiehls.com.